Tamie: If you pre-order Thoughtful by S.C. Stephens by Feb. 16th and fill out the form HERE you’ll get to read the first two chapters of Griff’s book (Untamed). I was SOOOO happy to get an ARC of Thoughtful, and am reading it now. Holy hell peeps. That’s all I’m going to say for now. Elena: That’s awesome! I can’t wait for S. C. Stephens’s Thoughtful! Every day we get closer to the release of Fifty Shades of Grey the movie, and it’s safe to say the anticipation is killing all of us here 😉 To feel even closer, the movie soundtrack has been put up for pre-order on iTunes. I’m sure you’ve all pre-ordered it by now, but in case someone missed the news, you can do so here. Tamie: The list of people from work that I’m going to see the movie with seems to get bigger everyday, Elena. Good thing I’m off the next day cuz I’m sure I’ll have a massive Fifty hangover 😉 For those of you who live within reasonable traveling range of NY, the Today show is hosting a fan-first screening of the new “Fifty Shades of Grey” movie in New York City the morning of Friday, Feb. 6. You can sign up HERE to enter. You must enter by Monday, Jan. 19th at 5pm EST, so don’t delay. Good luck!!! Elena: Beth Ehemann, the author of the Cranberry Inn Series, which ended up on my Favorite Books List of 2014, has a new website! It’s really beautiful! The designer did an amazing job. You can browse it here. Elena: After my review of Come Back To Me by Mila Gray, I received several questions from readers in the U.S. and Canada that want to read the book, but it seems there’s some difficulty in purchasing it. That’s because the book has recently been picked up by a new publisher, and Mila Gray lets know on her website that it will be available in December 2015. Same thing for those who live in Canada. You can read what she says about it here. I can’t wait for you all to read this! 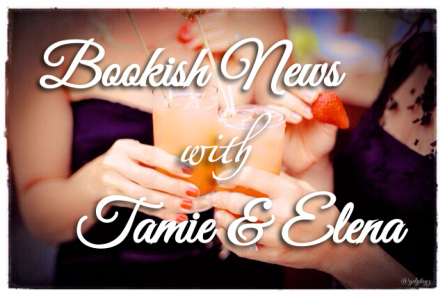 Did you come across any great bookish news this week? If so…share it! This entry was posted in Beth Ehemann, Books, E.L. James, Favorite Authors, Fifty Shades, Great Bookish News, Mila Gray, S.C. Stephens, Sylvain Reynard and tagged Beth Ehemann, Come Back To Me, Fifty Shades of Grey, Fifty Shades The Movie, Great Bookish News, Mila Gray, S.C. Stephens, Sylvain Reynard, Thoughtful, Thoughtless.